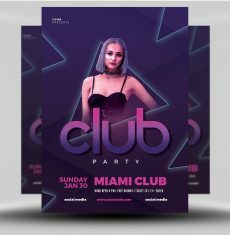 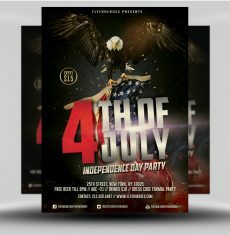 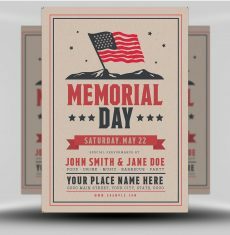 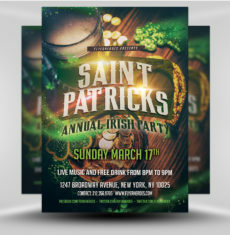 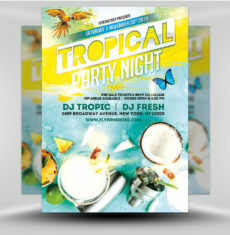 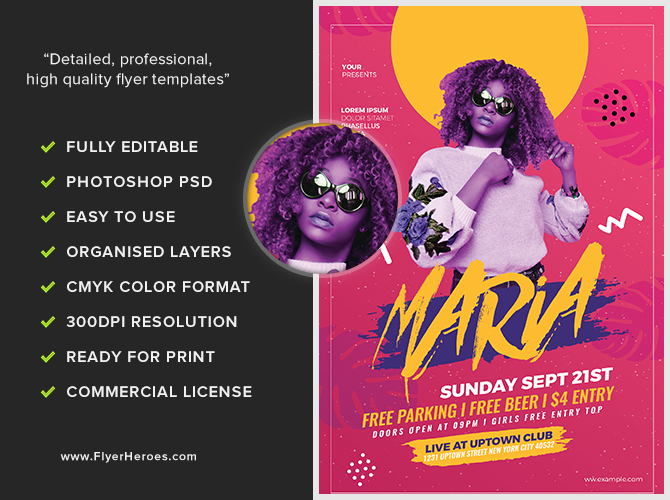 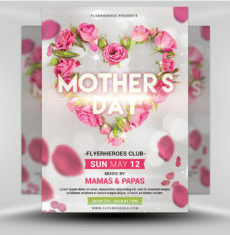 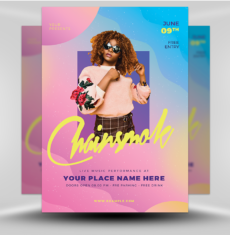 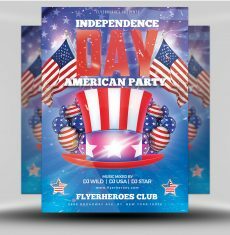 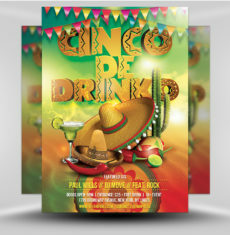 Grab attention with this colorful Club Flyer! 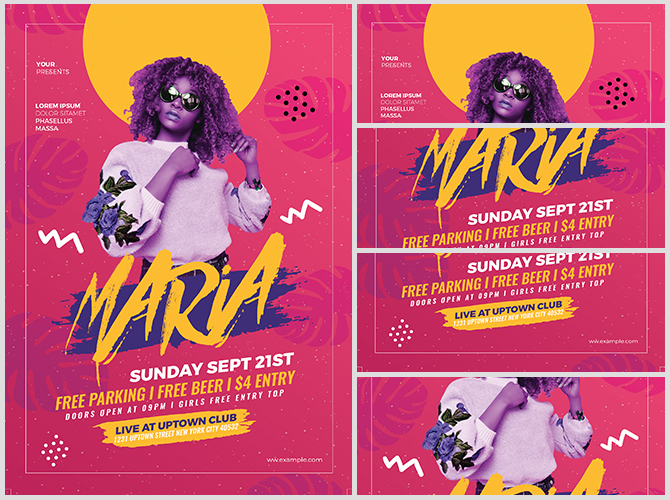 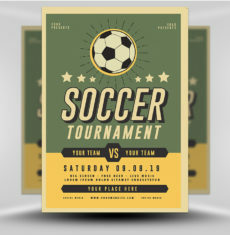 This flyer has a retro theme, using shades of pink, gold, and purple. 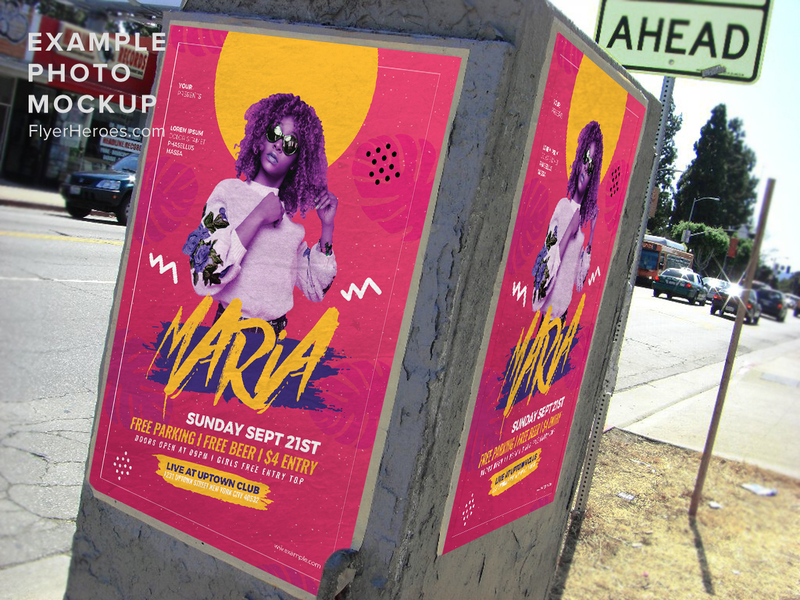 The model, colorized in tones of purple, is wearing throwback round glasses, further highlighting the vintage feel. 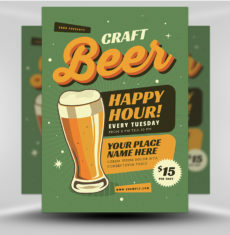 The center text uses a brush script font, for a hand-drawn look, over a dark swash of purple. 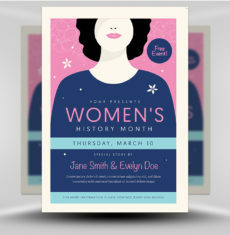 Additional event text appears below the event title, tilted on an angle for an offbeat effect. 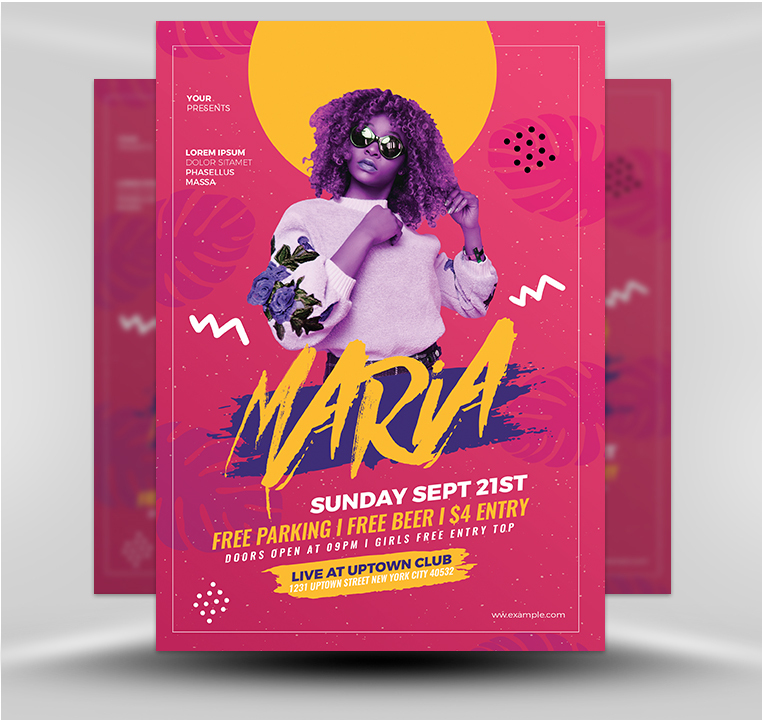 The pink background is highlighted by a yellow sun, light palm leaves, and a light yellow border framing the design. 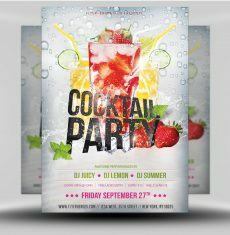 This flyer would be ideal for a retro club night or live music event!